There are multiple different way that you can send a text message from MOBIT. The 4 methods include a manual broadcast, using a campaign, Infusionsoft or Zapier or external integration. 1 - Find the group of contacts you wish to send a text message too. You can do this by using MOBIT&apos;s search function, or by manually selecting contacts from the manage contacts, manage groups or manage tags section. 3 - Compose your text message. Only contacts that are subscribers will receive your text message. If you want to send a text message to contacts that have a non marketable or unconfirmed opt-in status, check to box that reads "Send a text to contacts that are not currently subscribers". Set up your opt-in text and confirmation text. Contacts that are subscribers will receive the confirmation text unless you check the box that reads "Send different text to existing subscribers". 1 - Create a campaign. 2 - Add an added to campaign audience goal. 3 - Add a send a text action off your added to campaign audience goal. 4 - Find the group of contacts you wish to send a text message too. You can do this by using MOBIT&apos;s search function, or by manually selecting contacts from the manage contacts section. 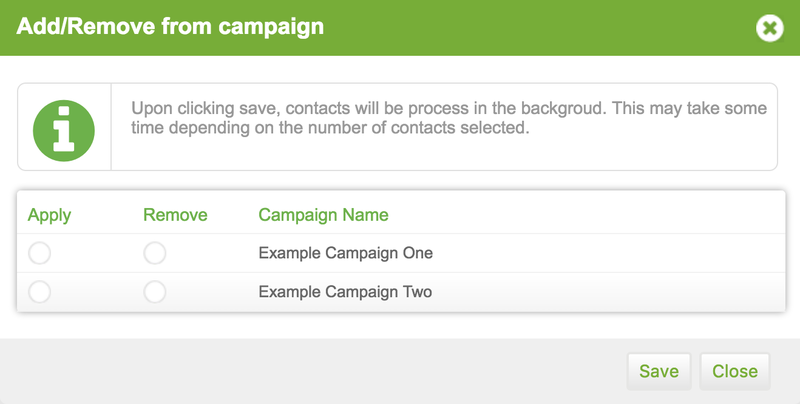 6 - From the resulting pop up, select the campaign to add contacts too. Check out this article here on how to send a text message from Infusionsoft. 2 - Add a triggered by Zapier goal. 3 - Add a send a text action off your triggered by Zapier goal. 4 - Set up your Zap in Zapier. Use MOBIT&apos;s create/update contact action.